So, to get things started, here is a list of some of my ancestor’s and the locations associated with them from various sources. In 1901 Mike Grywacheski set sail from Tekliwka, “Selo” in Western Ukraine for the United States, as a very young man of only 20 years of age. Teklivka (historical Ukrainian place name) (Teklowka in Polish spelling) exists today, but it is a very, very small place. 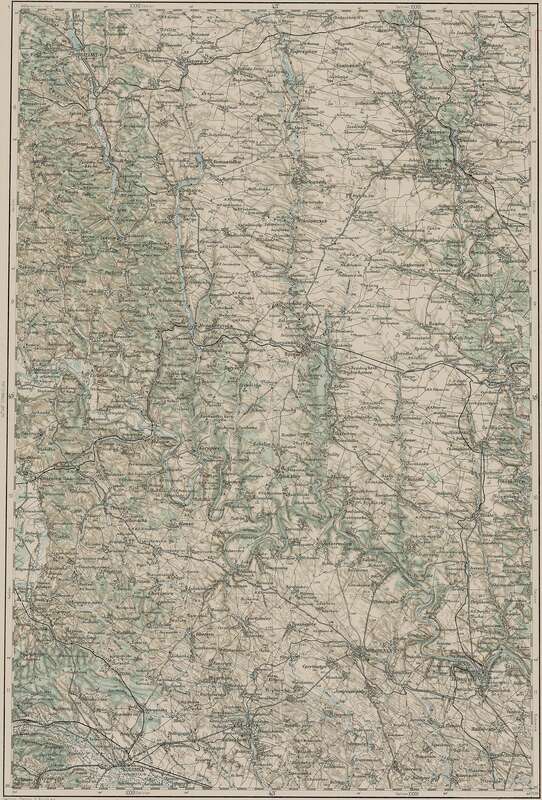 On current maps of Ukraine, the village spelling is Tekliuvka. Shtetlseeker has Tekiyevka as another spelling (that’s probably Soviet-era spelling). Tekliuvka is in Ukraine’s Ternopil oblast/Zalishchky raion. Tekliuvka is a very small place. Here it is located on Google maps, zoomed out from the link mentioned above. I haven’t had any luck finding it on the Old A-H map, or matching anything on that second map to Google maps yet. On my Mother’s Mother’s side, I have a great deal of information back to my 3rd great grandfather. The “”Treasured Lozinski Memories” book, subtitled “From the Valley of the Dniester to the Assiniboine” by Larry Lozinski has a great chapter with several good maps and a “History of Galicia”. The author’s grandparents, on both sides of the family, came to Canada from the Galician village of Gleboczek (or as they said in Ukrainian, Hlubochok), which was located about ten kilometres northwest of the regional centre (Poviat or Rayon, meaning region) of Borszczow (Borschiew), which is about half way between the Zbruch and Seret Rivers about 40 km north of where the Seret River dumps into the Dniester River in the province (Oblast) of Ternopil’ It is quite likely that they travelled by horsedrawn cart from the village to the nearest railway station, most likely at Borschiew, 10 km to the south east or to Ozeryany, 8 km to the north, to take the train, which would whisk them away from their homeland for ever. I matched this up on Google Maps using the information above, and the map from the book below, it and it turns out to be quite close to Tekliuvka mentioned above and shown as a star below. Michael Grywacheski stowed away on a ship to North America. He landed in NYC and then carried on the the steel foundaries in Carnagie Pennsylvania. Thanks Ken, I don’t think I knew that he had stowed away! I too heard that he had stowed away,was discovered, then worked on the ship to pay for passage. This is really cool, Brent. Thanks for sharing it! I will make sure my Mom sees it too as she had collected info to do her own family history some day. I have always been curious about what the countryside looks like where our people came from. I think I’ll take a trip over there some day. Thanks Mary! I’d love to see what info your Mom might have that I’m missing. Most of my information is from the Lozinski book, the Norquay Nostalgia book and a couple of others that I’ve found online. Nick Ladanowski also shared his family tree files with me, which was a great help in getting a good headstart. Hi Brent: We are related and I think we may have exchanged already in the past. However, just saw these postings and wanted to offer a thought about “Tomorin”, Poland. My grandmother was Julia Ladanowska (many other spellings), sister of Domka (Dora) who married Mike in the USA after emigrating from then Galicia, part of Austro Hungarian Empire or simply Austria (you may know that Poland itself disappeared as a political entity for 200 years). Julia joined her sister Domka in McKeesport, Pennsylvania and there met my grandfather, Joseph Skikiewich also from Galicia and they married in 1910. Eventually, they followed Domka and Mike to Manitoba and Saskatchewan to farm. Julia and Joseph had 8 children and their son, Frank was my father. I worked in Ukraine for almost 7 years til 2 years ago and visited where Julia was born (and I believe Dora) – it is Pomorany which has many spellings, i.e. Pomoryany, Pomarin, Pomorzhany, Pomoryany depending on whether it was ruled by Poland, Austro Hungarians, Ukraine. I think Tomorin is actually meant to be Pomarin. And that Domka was also born in Pomoryany. Its a beautiful bedroom town for nearby Zloczow which is in Lviv Oblast – look for Pomoryany in the far southeast corner of the oblast just west of Zloczow. The Greek Catholic Church is still standing, used and cared for and the cemetery has Ladanowski graves. I met with the mayor and staff (I was working for the Federation of Canadian Municipalities and doing a project to help Ukrainian cities with local economic development and have a fair bit of information on the town’s history. Recently, I retained a Ukrainian genealogist from Lviv to see if we can find more information about “the generation that got left behind”. Domka and Julia’s parents were Nicholas Ladanowski and Maria Stasiuk. I am hoping my genealogist will find information about their parents which I will be happy to share. So, you are from the Mike/Domka Grywachewski line, right? This spring, my husband and I visited McKeesport, Pa enroute to Florida and we have been to Ellis Island where Mike (hmm, is it confirmed he stowed away? ), Domka, Julia and Joseph all landed. In two weeks, I am off to Yorkton, Canora and Norquay, Saskatchewan to see cousins, cemeteries, old farms etc. Lets keep in touch. Carol Kardish (nee Skikiewich aka Skakie – this is the (awful) name my father and his brother adopted for business purposes). P.S. Are Ken and Mary Ellen siblings? cousins? That’s great information, and definitely stay in touch. I just started a new Facebook group for researching that part of my family and it would be great if you could join. Hi Brent, good work digging up stuff on your family. I came across your website because of research I’m doing on my own family, which I expect will lead to a book. From the information I have, it looks like Jozef may be the son of Marcin. I have a Marczin Lozinski (b 05 Nov 1857) with a son Joseph (b 1896). The information on Hlubochok came from the “Treasured Lozinski Memories” book by Larry Lozinski. If you send me an email at brent@ob1knorrb.com I can give you a little more information about it. Hi Carol, hope you are having a great trip. I’ll have to dig through my notes and see if I can figure out where I got that from. I also haven’t updated the information on this site in a long time, so it’s possible it was a mistake that I have since corrected. Hi again, I checked and somewhere along the way I must have figured out that I had the wrong information for Maria Natae Stasiuk as I no longer have parents listed for her. I’d love to follow up with you on more information on the family, could you email me at brent@ob1knorrb.com when you get a chance?